I have been working with the Dream for a number of years, this experience has been the most profound I have encountered in my work. Developing a dialogue with the dream can be the most revealing way to uncover that which may otherwise be hidden. The Dream group provides a forum where people can come together to share their dreams and explore the issues they raise. The benefit I have witnessed from the experience of sharing and working with the Dream in this way has been tremendous. I am also setting up an online dream forum if you are interested in this let me know. "The Dream has informed civilization since the beginning of time. Scientists, politicians, religious leaders and philosophers have all had significant revelations through information they have received from the Dream. The Ancient Egyptians adhered strongly to instructions they received from the Dream. Dream interpreters were consulted on important decisions, from when to plant crops, appointing leaders and diagnosing illness to the administration of relevant medicines. The Dream and the information it revealed were regarded as being as essential to peoples lives as shelter, food and water. We have neglected our relation to the dream and lost both our skill in being able to understand its unique language and more importantly, the information, wisdom and instruction that it holds for our future". My approach to the Dream is informed by Anthony Lunt who was an advanced student of psychiatrist R.D. Laing. 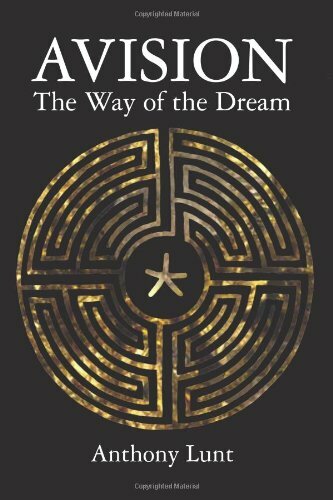 His book AVISION, The Way of the Dream is featured below.